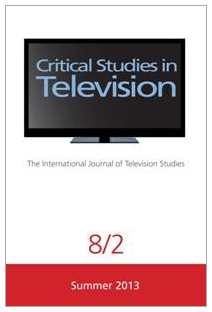 Yesterday came welcome news of the publication of the online edition of the latest issue of Critical Studies in Television, a themed collection of essays titled ‘The Liveliest Medium’: Television’s Aesthetic Relationships with Other Arts. This special issue – volume 9.3, edited by Jason Jacobs (University of Queensland) and Steven Peacock (University of Hertfordshire) – is naturally of great relevance and significance to the Screen Plays project. Indeed, television’s relationship with theatre receives detailed discussion not only in separate essays by John Wyver and Amanda Wrigley but also by friend and colleague Billy Smart (‘The History of Forgotten Television Drama in the UK’ research project, Royal Holloway, University of London). Other essays, too – such as that by Sarah Cardwell (University of Kent) – are hugely relevant to the kind of methodological questions we are grappling with. In their opening Editorial, Jacobs and Peacock state that underlying the volume is the desire ‘to make prominent the immense connectedness, crossover and mutual dependency of artistic work while avoiding the constraints of the usual way such matters are dumped into the category of “adaptation” ‘, and so, ‘This special issue of Critical Studies in Television explores the aesthetic meetings, counterpoints and clashes between television and other art forms’, with one of its stated aims being to ‘[open] up adaptation studies by way of aesthetic overlaps in style, structure, tone and attitude’ (2). Cardwell’s essay, ‘Television amongst Friends: Medium, Art, Media’, leads the way by unpicking the commonplace practice of referring to television as a ‘medium’, proposing instead that regarding television as an art composed of many media challenges the ‘narrowly contemporary notions of the televisual, positing a more historicised model and situating television alongside other arts – amongst friends’ (6). My essay, titled ‘Dylan Thomas’ Under Milk Wood, “a Play for Voices” on Radio, Stage and Television’, offers a textual analysis of aspects of the BBC’s 1957 studio production of the play, arguing that television production contributes new resonances deriving from the medium’s performative conventions and communicative strategies, and also evaluates the nature of the aesthetic values sought by the professional critic and the domestic viewer. Since I have not previously written on this blog about television’s engagement with Under Milk Wood, below I share a taster of the longer article published in Critical Studies in Television in the hope of directing readers to a volume which promises to enrich significantly current debates on television aesthetics. The Welsh poet and writer Dylan Thomas (1914-1953) wrote Under Milk Wood as a piece for performance on radio and it was immediately considered to be a masterpiece of the radio play form, with the first BBC production in 1954 winning the Prix Italia and a rapturous reception in the press and amongst the 200+ domestic listeners surveyed by the BBC. Although its subtitle is A Play for Voices, there is no dramatic plot or story; rather, as a product of the BBC Features Department, this rich tapestry of narration, dialogue, soliloquy and song sets forth the secrets, longings and regrets of many inhabitants of a fictional Welsh seaside town over the course of a single day. The extent to which Under Milk Wood was, however, considered adaptable to other forms and media in the first couple of years of its life is striking. Its very first performances had, in fact, taken the form of stage readings in which Thomas himself participated, shortly before his death in 1953. Posthumous readings followed: for example, several of the BBC Radio cast read a thirty-minute extract at the Globe Theatre in 1954 as part of a benefit evening for the Dylan Thomas Memorial Fund. Douglas Cleverdon, who produced it for both radio and the stage, recalls that at the Globe ‘It was immediately apparent that Under Milk Wood, although it had no plot, had all the other ingredients for a stage success’ (Douglas Cleverdon, ‘The History of a Radio Classic’, Radio Times, 28 June 1957, ­­p. 6). Accordingly, the theatre manager Henry Sherek mounted a stage version at the 1956 Edinburgh Festival, a production which toured South Wales before a long run in the West End. Extracts of the production as staged in Edinburgh were televised by the BBC and, as was common, the presentation of extracts was soon followed by a full BBC television production. This production featured the same cast and was transmitted immediately after the London run closed. 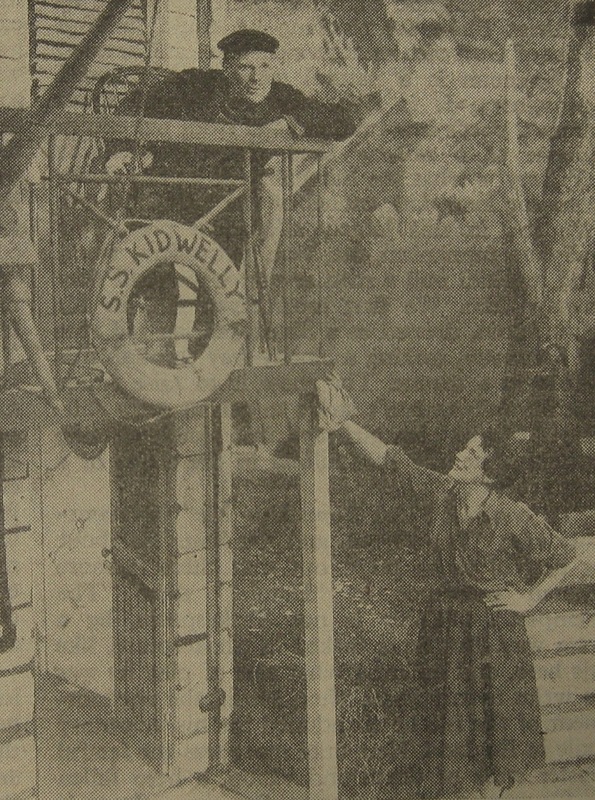 Writing in the Radio Times, however, Sherek noted that David J. Thomas’ production had been ‘especially conceived for television’ and, indeed, ‘realized in an entirely different manner’ from the stage performance (Henry Sherek, ‘Presenting Under Milk Wood’, Radio Times, 3 May 1957, 7). Although the television version had a decidedly mixed reception, a second production was transmitted in the BBC’s Festival series in 1964. Writing about the televised extracts in The Listener, Hope-Wallace reiterated his view that the ‘radio picture […] has been spoiled by being translated into terms of sight and sound’ but conceding that the play ‘might gain a fraction from being illustrated, say, in terms of the cinema or the free-cutting television camera’ (Philip Hope-Wallace, ‘All Twitch Together’, The Listener, 30 August 1956, pp. 319-20). Similarly, the extracts left Peter Black of the Daily Mail wishing ‘very desperately the job had been left to television exclusively’ (Peter Black, ‘Teleview’, Daily Mail, 21 August 1956). This wish soon came true. On Thursday 9 May 1957 the BBC transmitted Under Milk Wood in a full television production by the Welshman David J. Thomas (one of three producers working for the BBC in Wales), with new designs by Roy Oxley and the script slightly adapted for television by Eric Crozier. Fortunately a substantial recorded extract of the production exists in the archive of the BBC: at 35 minutes and 14 seconds long it represents a little over a third of the production which ran from 8.30pm until 10pm. The first scene preserved in the archived recording is that between Mog (Aubrey Richards) and the postman Willy Nilly (Emrys Leyshon), and the extract ends just before the entrance of Rosie Probert (Catherine Dolan), equating to pages 43-71 of the 1988 printing by Dent. Polly my love, can you hear the dumb goose-hiss of the wives as they huddle and peck or flounce at a waddle away? Who cuddled you when? Which of their gendering hubbies moaned in Milk Wood for your naughty mothering arms and body like a wardrobe, love? (46). This scene demonstrates how Captain Cat is promoted, almost, to a secondary narrator role alongside Donald Houston’s Onlooker. He is blind, but almost omniscient with his advanced hearing and position high up on the balcony. His words carry authority and his direct addresses to camera encourage the viewer (as with the listener) to forget his blindness and trust his knowledge. The positioning, stance and facial expressions of both the women in the group and the sole figure of Polly Garter enhance what is being told in words about Polly’s social position as an outsider, set apart from her community by the nature of her relationships with men. Contemporary critics were circumspect in their praise. For Trewin, writing in The Listener, television was the least successful medium of the three, one complaint being that ‘It magnifies parts of the play while seldom persuading us that the village is a unity’ (J. C. Trewin, ‘See for Yourself’, The Listener, 16 May 1957, p. 802). The critic in The Times makes a similar point, preferring Michael Trangmar’s stage setting because it ‘enabled audiences to study the village as an organism. Television’s kaleidoscopic presentation robbed the play of this cohesion and almost made one long for a plot‘. The Observer’s Maurice Richardson noted that what the production did do well was ‘catch the mood of Dylan Thomas’s lyrical humanism, move very fast and switch you from character to character without confusion but with some ingenious surrealistic touches’, and demonstrating ‘the best acting close-ups I have seen on television’. ‘Altogether’, he concluded, it was a most encouraging demonstration of several TV propositions which I favour in my optimistic moments. (Among these are: That nothing is too difficult for television. That you can’t keep a good script down. That you can’t go wrong with the Welsh)’ (Maurice Richardson, ‘Television: Mother Wales’, The Observer, 12 May 1957, p. 15). Whatever their estimation of the aesthetic success, or not, of the production, several critics noted that it was a good thing to have brought Dylan Thomas’ work to a much larger audience (see e.g. Anon., ‘Television Notes: Under Milk Wood’, The Manchester Guardian, 10 May 1957, 7; Anon., ‘Under Milk Wood: BBC Television’, The Times, 10 May 1957, p. 3). Interestingly the audience ‘reaction index’ for the 1957 production was 48, well below the average for studio productions of plays (66) and the figure (61) which was recorded for the televised extracts from Edinburgh in 1956 (notably, all are significantly below the figures in the 80s consistently recorded for radio productions of the work) (BBC WAC, VR/57/261). It is possible that the figure was adversely affected by a fifteen-minute breakdown in the production which, certainly for some, made this play-without-a-plot more difficult to follow). About half of the 284 listeners who completed the BBC’s audience research questionnaire found nothing of value in the production, with the main complaints being that it was confusing, lacking in story or too bawdy. thought the producer had succeeded admirably in translating a sound radio item into terms of television. The settings, said some viewers, were ingeniously contrived to give the atmosphere of a Welsh village — not only did the scene seem colourful and convincing, but also gave a feeling of spaciousness. In addition the lighting and camera work […] were both considered excellent.